How do you feel the code of practice can better support your practice? 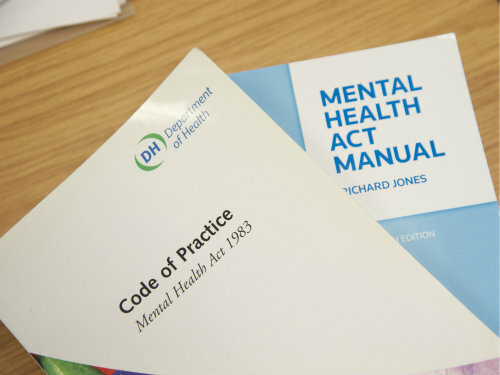 The Department of Health (DH) is revising the Mental Health Act code of practice for the first time since 2008 and published a draft revised code for consultation. How do you feel the current code should be revised to better support your practice? What questions do you have about the consultation or draft code? Next week we’ll be putting your questions to DH officials. If you’d like to submit a question, leave a comment below or email andy.mcnicoll@rbi.co.uk. Thanks to those who have submitted thoughts so far. Significant amendments to the code tabled in the revised version include: a new chapter on the interface between the Mental Capacity Act and Mental Health Act; a revised chapter on how to support children and young people and five new guiding principles for professionals implementing the code. A consultation document accompanying the draft code also invites feedback on how the DH can provide further guidance to support Approved Mental Health Professionals in cases where they struggle to secure beds for patients in need of admission.